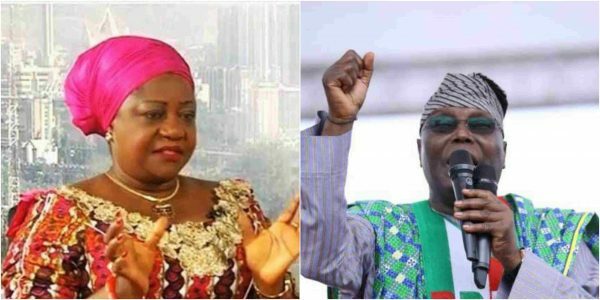 Lauretta Onochie who is President Muhammadu Buhari’s Personal Assistant on Social Media has disclosed how the presidential candidate of the Peoples Democratic Party, PDP, Atiku Abubakar, allegedly attempted to destabilise Nigeria using the suspended Chief Justice of Nigeria, CJN, Walter Onnoghen, during the just-concluded presidential election. In her allegation, she said that Abubakar attempted to destabilise Nigeria by using Onnoghen to cancel the results of 17 major states won by President Muhammadu Buhari during the election. “Have you heard of the Atiku’s Plan? There are fine details in the Atiku’s Plan many Nigerians did not read. That’s because it’s in the version that was concealed from Nigerians like Paul Ibeh, Atiku’s Media Adviser(? ), who is never taken into confidence by Team Atiku. Well, the devil as they say, is in the details. The post “Atiku Planned To Destabilise Nigeria Through Onnoghen” – Lauretta Onochie appeared first on LATEST NIGERIAN NEWS BREAKING HEADLINES NEWSPAPERS.